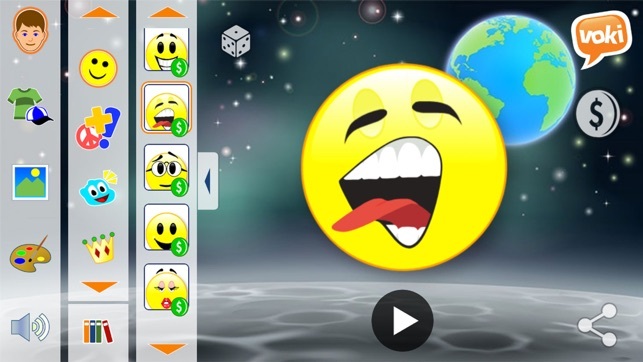 Join millions of teachers and students all over the world who have discovered the magic of Voki. 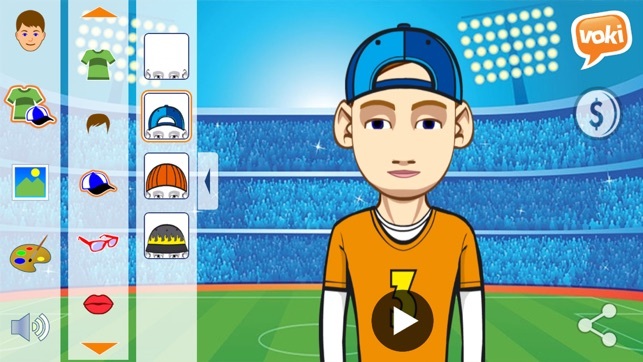 Voki, an edtech tool, is a collection of customizable speaking avatars for teachers and students that enhances classroom instruction, class engagement , and lesson comprehension. There are hundreds of avatars to choose from and clothing, accessories, facial features are just some of the ways your avatar can be customized. Simply, choose your head, clothes, and accessories, give your Voki a voice, and then add a background. The fun continues with our many in app sharing options. Creating and sharing a Voki with friends, teachers and parents has never been more fun and easy! 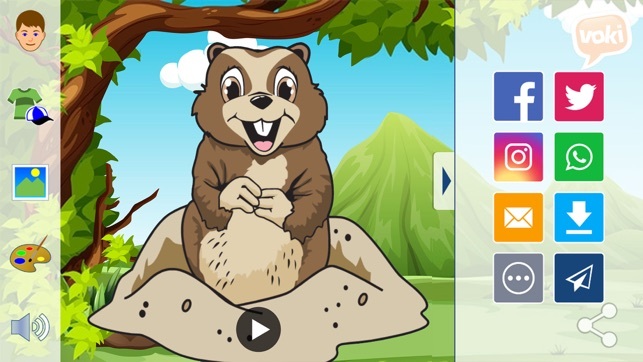 Voki for Education app is a companion tool to the Voki online platform. The app was created to mirror the online experience and provide students a convenient & fun tool to work on their assignments and projects. Fixed UI issues and improved performance. This program has really great potential for use in a classroom. I was looking for something where children could create avatars and have them interact and this would be what I was looking for. However, it is not accessible with screen reader software and navigation of the online version seems overwhelming. Also, every time I opened the app it crashed, even after deleting and reinstalling. In addition, it is not cost effective for teachers. It seems that the real value comes with the higher pay tiers. Well, how can you afford that on a teacher's sallary–especially in preschool–when we have so many other expenses. 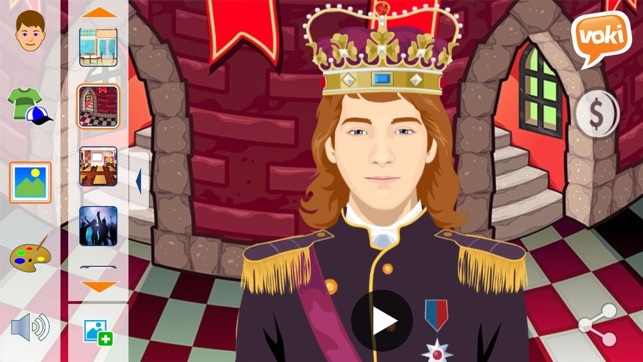 Voki has tremendous possibility to transform the classroom but it is far from that day. Keep working on it. 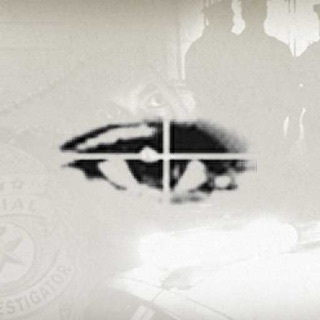 I'll keep watching. Hi - we have fixed most if not all crashing problems - please consider giving it another go when you get a chance. You are right in pointing out that teachers who are paid subscribers (at voki.com) can get a lot more from the app - for starters, all their students have free access to all voki characters. I hear you about the cost - and we have kept it as low as possible, realizing that in many cases teachers pay for it themselves. But - good news - we now have a *School Version* available - which is an even more economical way to go. Lobby your school! 1. I want to be able to move the avatar and position it anywhere I want. 2. I want to have more production features such as lighting features just like filming. 4. I want to be able to create sequences with my avatars. 5 I want to be able to make my avatar have dialogue with another avatar on the set . Hi there, been a Voki fan for years! This app while awesome crashes when you press the play button after you hear the audio bit. Plus it took too long to “download characters” when they aren’t all free which makes no sense. There are so few that are free and I don’t see why they aren’t all free. It’s very frustrating.